Chapped Lips can be really annoying. Chapped and dry lips can be very painful and unattractive. Here are some most effective home remedies for chapped lips. 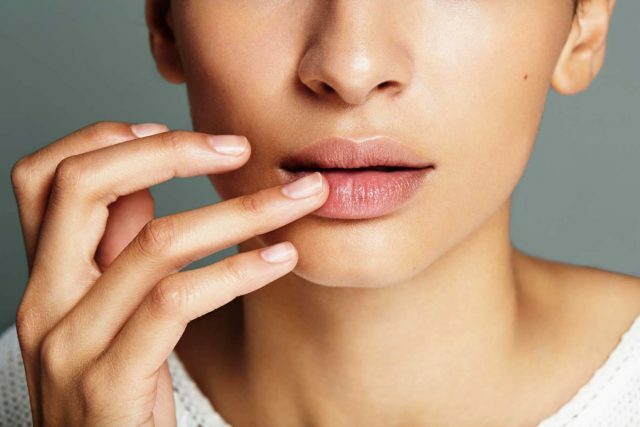 The common symptoms of chapped lips are redness, dryness, flaking, cracking, sore or tender lips. Some of the main causes of chapped lips are the vitamin deficiency, allergic reaction, dehydration, smoking, excessive licking of lips, sun exposure and harsh weather. Chapped lips or dry lips, cracked or sore lips, usually caused during cold, windy, dry weather and less often caused by warm weather. Sun exposure can contribute to chapping of the lips. Licking or biting the lips is often a contributing factor. The lips are more sensitive to chapping than the skin. Unlike the skin, the lips do not produce oils to protect them from drying. Sugar helps in exfoliating dead cells off your chapped lips will help restore their natural softness faster. The rose plant in your garden can also come to your rescue when suffering from chapped lips. This remedy will help your lips stay moisturized while also enhancing their beautiful color. Castor oil is one of the easiest and most effective natural ways to treat dry and chapped lips. Honey is a great and a natural moisturizer that consist of healing and antibacterial properties to treat chapped lips. Milk cream is a great natural way to treat chapped or dry lips. milk cream contains high amounts of fats which works effectively on your lips and moisturizes naturally. Coconut oil is a natural moisturizer that can help heal chapped lips caused by cold or dry weather. Simply apply pure coconut oil several times a day on your lips to keep them moist. You can also use olive oil. Petroleum Jelly can also be applied to your dry lips to get an easy cure. Another easily available and simpler way to get rid of dry lips is to place cucumber slices on your dry lips or apply cucumber paste. Aloe vera can also be used for treating chapped or dry lips. The healing qualities of aloe vera are well known. Putting a small amount of aloe vera gel on your lips daily will help them heal and relieve the pain. Aloe vera gel has an unpleasant taste but its amazing healing quality is worth it.